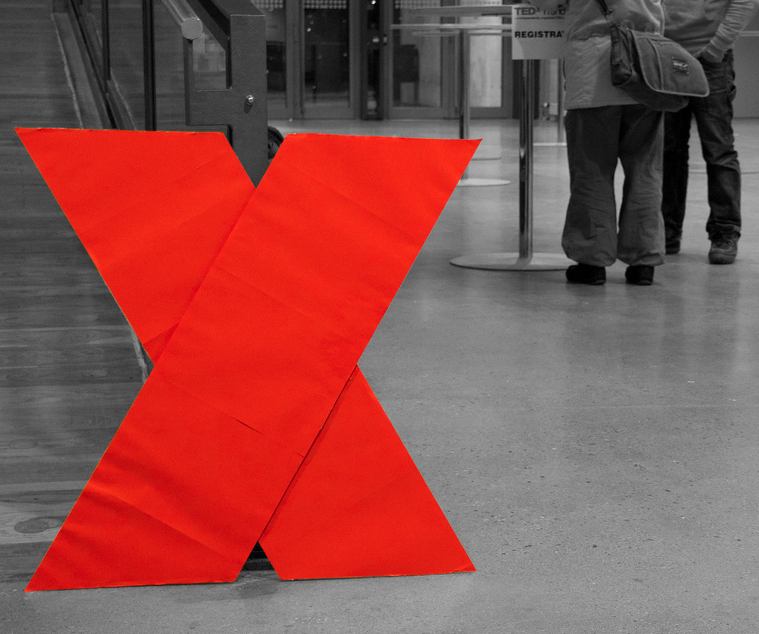 The Senate and Board Chamber was full of ideas on Sept. 26 as Wilfrid Laurier University hosted TEDx Laurier: “YesTEDay, TEDay & TEDmorrow: The Next 100 Years.” In the first of three parts, four unique speakers took the stage to share their stories with the audience. Serena Ryder, a three-time Juno award-winner began by playing her song “Sing, Sing” that she wrote as part of an effort to promote music in schools. Afterwards, Bob Egan of Blue Rodeo and formerly of Wilco took the stage to tell the audience why the path to living dreams isn’t an easy one. “There was a time when I had it all,” he reminisced, as he told the story of his young adult life working a corporate job. A bad deal with a rival firm cost him his job but his ability to look at his life through another perspective gave him the motivation to continue and eventually share the stage with the legendary Johnny Cash. Hind Al-Abadleh, a WLU chemistry professor, spoke next about her experiences growing up in the United Arab Emirates. When she graduated from high school in 1995 she had difficulty getting into university in the Middle East despite being among the top ten graduates of her country. “I was neither a citizen of Jordan nor the United Arab Emirates and therefore I didn’t have what it takes to be admitted to their public university system,” said Abadleh. After finally being accepted to the United Arab Emirates University, she began to tackle roadblocks and live her dream of studying. The last speaker, Dan Trommater, has been a professional magician for over 14 years, and cleverly taught the audience about perspective through the mystery of illusion. However, there is still a need to bridge the gaps between individual realities. “If you can stop in the heat of the moment, step back and remember to say ‘tell me more’ to the other person, it’s an incredibly powerful tool,” advised Trommater. 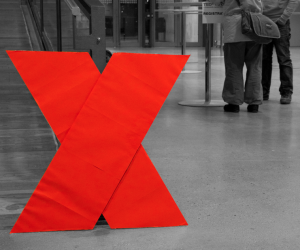 The third and final session of TEDx Laurier saw four prominent speakers: Iyinoluwa Aboyeji, who refers to himself simply as “E”, Luisa D’Amato, a WLU professor, Fred Penner and WLU’s own Don Morgenson. All four speakers continued to address the goals of TEDx by addressing ways in which we can enrich society for future generations. Aboyeji addressed the audience regarding the specific topic of how online learning affects students today. He stated that “how people learn, and whether or not they are learning” is an issue that needs to be dealt with in order for current generations to succeed. “People are going to learn in groups together, peer to peer,” said Aboyeji. What is important is that they are learning together in positive ways that they will benefit from in the long run. Luisa D’Amato then encouraged the audience to better themselves by critically questioning the norms that are present within our societies. By actively pursuing our own truths rather than taking everything at face value, we can fix issues and move on into a better society. The third speaker, Fred Penner, then went on to remind the audience of the importance of our memories. “I had a pet chicken,” he began. It was through the story of his chicken that he was able to explain how much of an impact our childhood memories have on our adult lives. It was the experience of burying his pet chicken that inspired the opening of his show, Fred Penner’s Place. After performing multiple songs, he concluded that we should reminiscence about our past, and allow those experiences to help shape our future in order to achieve our goals. Afterwards, Don Morgenson, while joking about his age, took the stage and spoke about the importance of imagination. He went on to explain that in today’s society, people are too preoccupied with material goods and technology to allow their imaginations to flourish and influence their lives. He also questioned whether or not a lack of imagination is causing depression to become more prominent, as we are increasingly living in black and white rather than in colour. The four speakers who took the stage during the second session of TEDx Laurier, it was all about community and ideas starting at the local level. Each lecturer shared their experiences contributing to the theme of “think local, act global” while tying in their own inspiring messages. Stuart Knight, a graduate of Wilfrid Laurier University and entrepreneur, discussed the words “realistic” and “unrealistic” and his hatred towards them. It bothered Knight that people use these words with such authority based on their own definitions of what is realistic and unrealistic. “I want to stop this process of having people listening to unrealistic advice when they should be doing the thing that is realistic to themselves,” Knight explained. He believed that people shouldn’t let other’s ideas of what is realistic define them. He explained how he invested in a business that runs theatre shows for young people. From there he made a musical for adults, and the show ran in his apartment because no venue would rent out their space to him once a week. Imparting the idea that it all starts with you, Knight concluded by saying that we all make our own destinies. Mike Morrice, founder and executive director of Sustainable Waterloo Region, told the story of the project’s conception. He ignited a local movement within Waterloo towards making the community more sustainable. It was a difficult getting companies to commit to the program, but it came down to in the end was involving people and giving them power in creating goals. As an AID’s physician and activist, Anne-Marie Zajdlik explained that treatment of the disease stops transmission. With the support of her community in Guelph, she opened an HIV/AID’s clinic in 2005. Further exemplifying the power of the local, she and her community raised one million dollars to open a similar clinic in Africa. “We are the answer. Stand up, use our global wealth and technologies [and] set us on the path to healing,” she said. Ian Keteku, 2010 world poetry slam champion, communicated his message of “words do have power” by way of poetry in his presentation. He also explained that we have to be committed to the words that we say.